The courage and moral clarity shown by the student survivors of the recent mass shooting at Marjory Stoneman Douglas High School in Parkland, Florida struck an immediate emotional chord with the American public, bringing home the reality of gun violence. 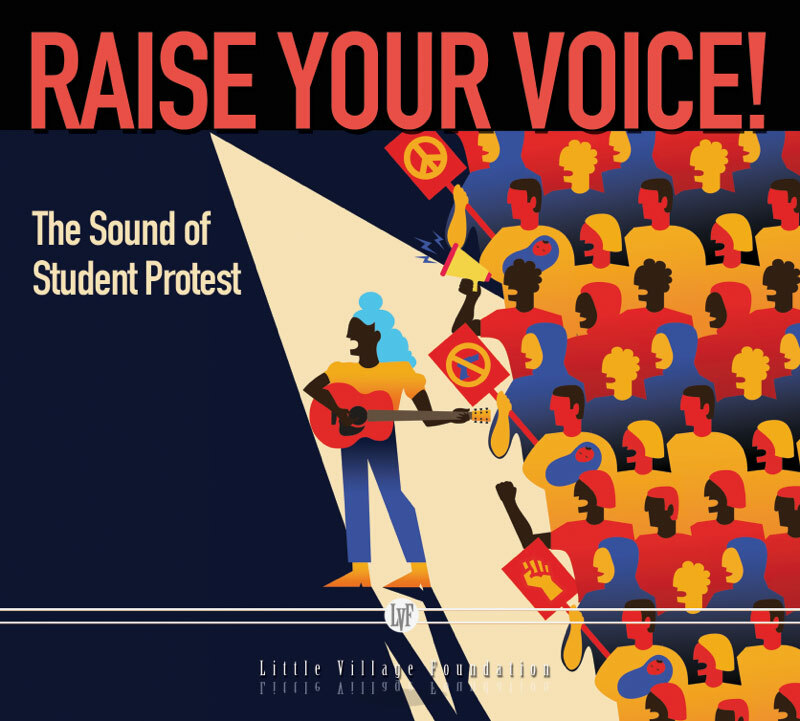 The situation is powerfully addressed in audio form in Raise Your Voice, a timely collection of musical and spoken-word pieces written and recorded by students from Parkland and other parts of the country in response to Parkland and other school shootings. Slated for a timely release by the non-profit Little Village Foundation on October 5, 2018—one month prior to the all-important midterm elections—Raise Your Voice collects a cross-section of impassioned new pieces written and performed by students from across the United States. The material includes the widely heard original composition “Shine,” performed by Marjory Stoneman Douglas students Andrea Peña and Sawyer Garrity. Other tracks for Raise Your Voice were recorded by Little Village Foundation founder Jim Pugh in various locations across the United States. Pugh was initially inspired to assemble Raise Your Voice after being contacted by Bowling Green State University ethnomusicologist Katherine Meizel. Meizel had helped to assemble an NPR story documenting students’ musical responses in the wake of the Parkland shooting. Similar to Little Village Foundation’s entire catalogue of releases that give all money raised through CD sales directly to the recording artists, Raise Your Voice‘s proceeds will be donated to a singular non-profit organization: Everytown. Everytown supports a movement of Americans working together to end gun violence and build safer communities. Selected performers appearing on Raise Your Voice will perform on October 7 at San Francisco’s renowned Hardly Strictly Bluegrass Festival.